There are many books on dreams, dream interpretation, and lucid dreaming. 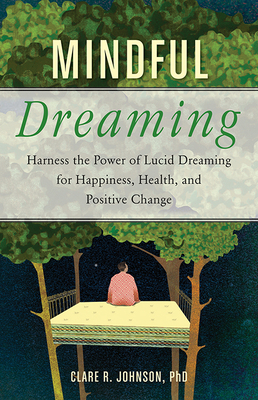 What makes this one different is that Clare R. Johnson, PhD combines the principles of mindfulness with a fresh approach to lucid dreaming. The end result is a step-by-step guide for understanding dream language, waking up in our dreams, and transforming them to improve our waking lives. This is a helpful and practical book that belongs on every nightstand. It is book for all who want to unleash the power of their dreams and change their lives. Clare R. Johnson, PhD, is the leading expert on lucid dreaming. She has a PhD from the University of Leeds on using lucid dreams as a creative tool (the first doctoral work in the world to explore this topic), is a lucid dreamer herself, and is the board director of the International Association for the Study of Dreams. She regularly gives talks and leads workshops about dreaming. Visit her at www.deepluciddreaming.com.